"IBK 투자 채용비리, 여자 점수는 깎고 청탁 지원자는 등급 올려"
여자라는 이유로 지원자의 점수를 깎아 불합격 시키고, 청탁받은 지원자는 점수를 올려 합격시키는 등 채용 부정을 저지른 IBK투자 증권 전·현직 임직원이 재판에 넘겨졌다. 서울남부지검 기업·금융범죄전담부(김영일 부장검사)는 업무방해·남녀고용평등 법 위반 등 혐의로 IBK투자증권 경영인프라본부장을 지낸 박모(50) 상무(현 시너지 추진위원)를 지난 24일 구속기소 했다고 28일 밝혔다. 검찰은 또 박 상무의 지시를 받아 지원자의 점수를 조작한 당시 인사팀장 2명도 같은 혐의로 불구속기소 했다. 이들로부터 관련 내용을 보고받는 등 부정채용에 적극적으로 가담한 김모(61) 전 부사장도 업무방해 혐의로 불구속 상태에서 재판에 넘겨졌다. 박 상무는 IBK투자증권의 인사·총무·기획 담당 부서인 경영인프라본부의 본부 장을 맡으면서 2016년과 2017년 신입직원 채용을 진행했다. 박 상무는 이 기간에 청탁 받은 지원자 4명의 점수를 조작해 3명을 최종 합격시킨 혐의를 받는다. 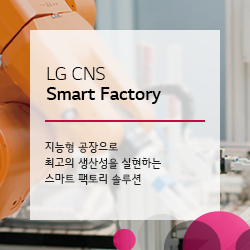 김 전 부사장의 대학 지도교수 조교, IBK투자증권의 전임 사장이나 전·현직 회 사 상급자의 지인, 중요 거래처의 대표이사 친인척 등이 청탁의 대상이었다. 박 상 무는 당시 인사팀장들에게 지시해 이들의 면접 점수 등을 올려준 것으로 조사됐다. 박 상무는 또 남성 신입직원이 영업직에 선호된다는 이유로 여성 지원자의 실무 면접 점수를 깎고 남성 지원자의 점수는 올려줘 남녀고용평등법을 어긴 혐의도 받는다. 이런 점수 조작으로 2016년에 11명, 2017년에 9명 등 총 20명의 여성 지원자가 피해를 봤다고 검찰은 밝혔다. 검찰에 따르면 이 회사의 2016년 채용에서 남녀 지원자 비율은 6대4 수준이었으 나 최종 합격자는 남자 11명에 여성은 2명뿐이었다. 2017년에도 지원자는 남녀 성비는 크게 차이 나지 않았으나 최종 합격자 성비는 남자 9명에 여성은 1명에 그쳤다. 검찰은 작년 10월 금융감독원으로부터 수사 참고자료를 받고 같은 해 11∼12월에 IBK투자증권 본사를 2차례 압수수색을 하는 등 수사를 벌여왔다. 이달 7일에는 박 상무를 구속했다. 검찰은 피의자들이 조사 과정에서 대체로 혐의를 인정했다고 덧붙였다. 한편 당시 박 상무의 지시를 받아 부정채용에 가담했던 인사팀장 2명은 현재 인사부장, 고객만족부장 등으로 IBK투자증권에 재직 중인 것으로 전해졌다. 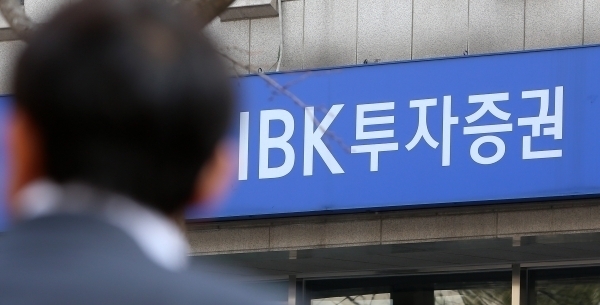 State-run IBK Securities has been hit by a hiring scandal, as several employees have been indicted by the prosecution over charges of manipulating interview scores of certain candidates and alleged gender discrimination in the hiring process, reports said Tuesday. According to prosecutors, a 50-year-old executive director surnamed Park was indicted over allegations of violating the equal employment law, which promotes gender equality in hiring, and for obstructing business. Three others who had received and followed orders from Park were also indicted without detention. The interview scores of three unqualified applicants were allegedly fabricated between 2016 and 2017, as they were at the risk of being disqualified. They were subsequently hired. All three applicants had personal relationships with either former or incumbent executives or VIP customers of the firm, the reports said. The firm also allegedly discriminated against women in recruitment by raising the bar for scores of female applicants while lowering it for males, based on Park’s orders to the human resources team. Women who scored within the same range as their male counterparts were disadvantaged in the hiring process, the prosecution argues. Park’s decision reportedly caused the disqualification of 20 female applicants from 2016 to 2017. Tuesday’s reports marked the latest in a series of hiring scandals and discrimination revealed in the nation’s financial sector.